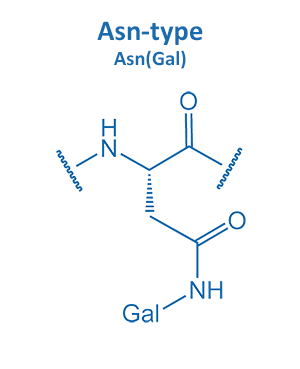 Glycosylation represents another important type of post-translational modification. Glycans serve a variety of structural and functional roles in membranes and secreted proteins. 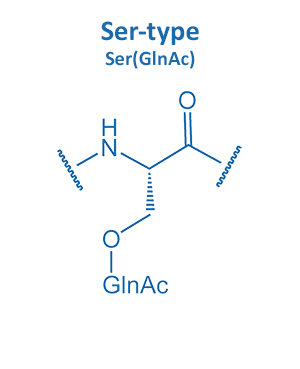 Generally, serine, threonine, and asparagine residues are suitable amino acids for glycosylation. 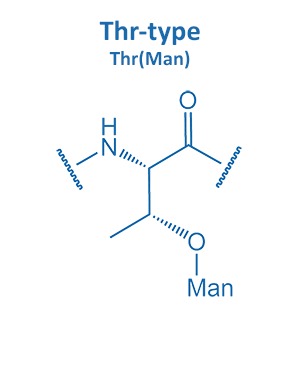 BIOSYNTAN offers various types of glycosyl-residues at those amino acids. An overview is presented in the following table. For any other type of glycosylation, please inquire.